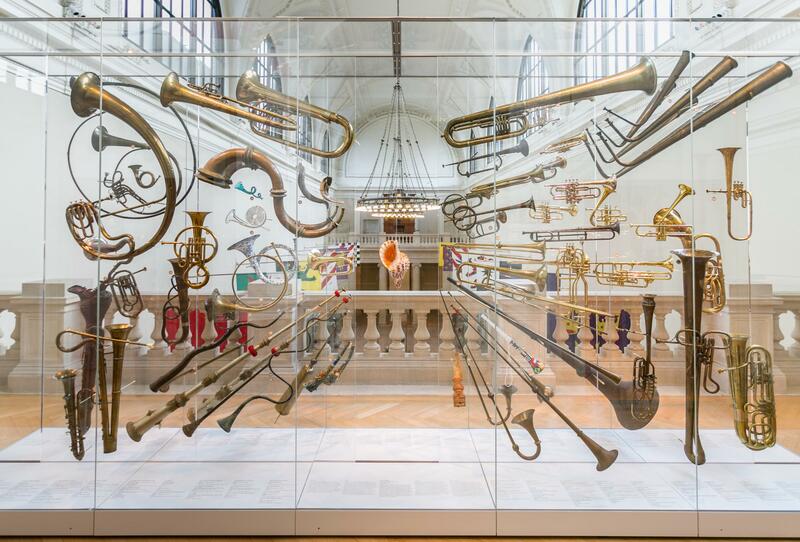 Fanfare, the opening gallery of the Metropolitan Museum of Art's Musical Instrument collection, featuring trumpets, horns and other related instruments from a variety of eras and cultures. The Metropolitan Museum of Art earlier this year unveiled some of the main components of its renovated musical instrument galleries, and this Saturday A Tempo (7/21 at 7 pm) takes us on a tour through some of the highlights. Host Rachel Katz will interview Bradley Strauchen-Scherer about some of the changes, including a decision to move away from a more traditional geographic and cultural division of instruments in order to better illustrate how music across all cultures has played a fundamental role in how people have used music in their daily, ritual, ceremonial and entertainment activities. This week's episode of A Tempo, including weekly news highlights. 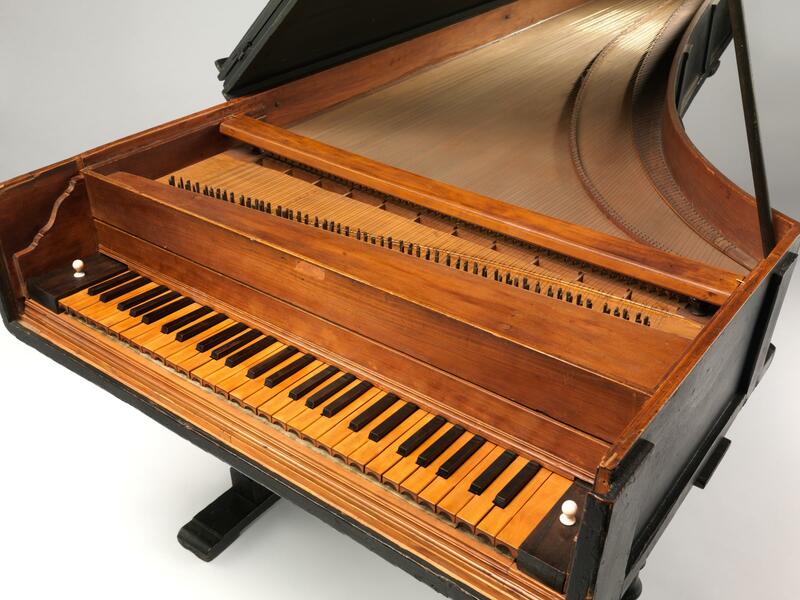 A 1720 grand piano by Bartolomeo Cristofori. Bradley Strauchen-Scherer describes some of the earliest instruments on display in the Metropolitan Museum of Arts' musical instruments galleries. 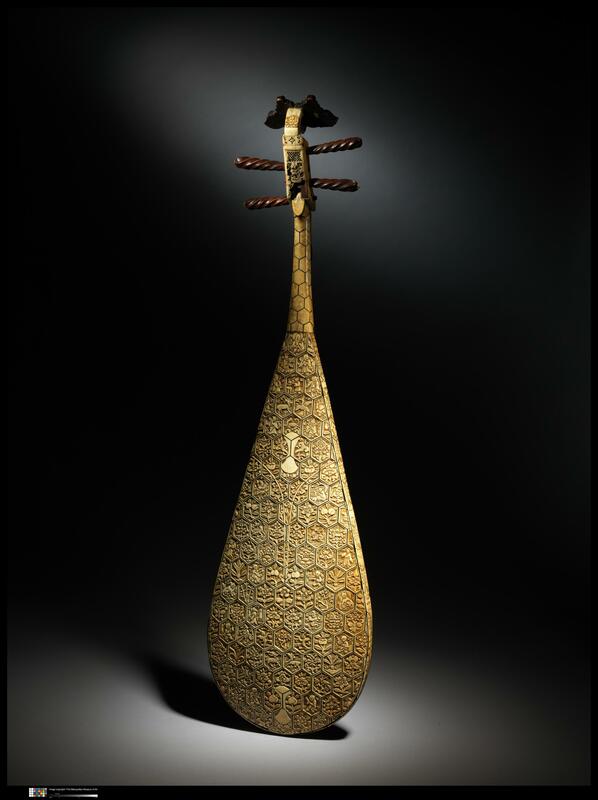 A Chinese pipa from the late 16th-early 17th century. More images can be seen at the museum's website here. See here for a time-lapse video of the dismantling and reassembling of the Appleton Organ. Bradley Strauchen-Scherer discusses some of the Western stringed instruments on display, including Stradivarius violins. 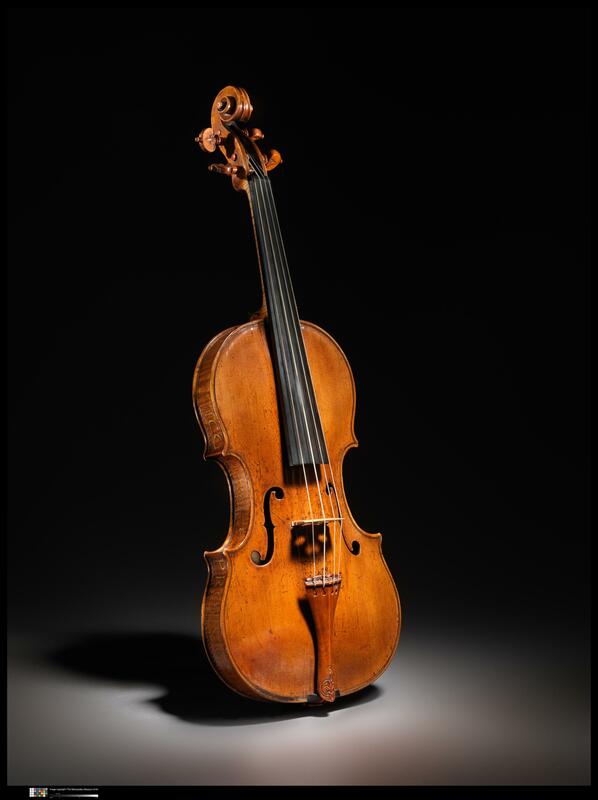 A violin by Andrea Amati, built circa 1559, with decorative lettering along the sides. Bradley Strauchen-Scherer talks about Mary Elizabeth Adams Brown, whose musical instrument collection forms the backbone of the Metropolitan Museum of Art's musical instrument collection.